Trick or Treat for UNICEF: UNICEF (United Nations International Children’s Emergency Fund) was established after World War II to assist war-torn countries in Europe and China. Today, donations to UNICEF help bring food, schooling, and vaccinations to children in need. 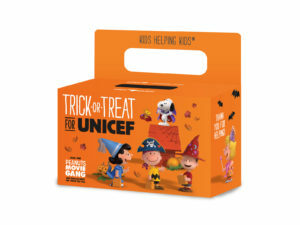 In October, IPS preschoolers were given a box to collect coins for UNICEF while trick-or-treating on Halloween. 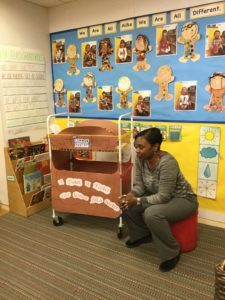 86th Street location director Monique Tabbs speaks to preschoolers about the importance of giving. New York Common Pantry Food Drive: The New York Common Pantry is an organization that provides food for the hungry while promoting self-sufficiency for individuals and families here in New York City. In November, boxes are placed in each location to collect Thanksgiving-themed food such as canned gravy and vegetables, pasta, and juice for the New York Common Pantry. The food is then delivered to needy New Yorkers in time for the Thanksgiving holiday. HELP USA: HELP USA has 19 residential communities here in the New York City area, and have now expanded into other metropolitan areas in the United States. This organization assists homeless youth in our country. Unwrapped, new toys for children of all ages are donated by IPS families during late November/early December. They are then distributed to children in need via HELP USA. Thank you for donating to these important causes this holiday season! To learn more about the IPS community, click here.